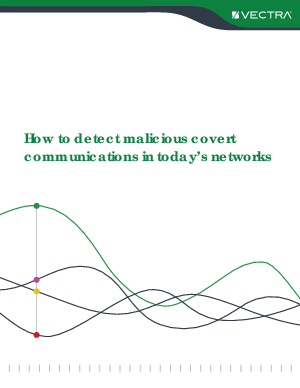 Covert communications are key enablers of cyber attacks that allow remote humans to patiently manage and direct their attacks undetected. Attackers choose these vehicles specifically for their ability to evade signatures, malware sandboxes and reputation lists. To learn how Vectra empowers security teams to automatically pinpoint active cyber attacks as they’re happening, correlate threats with the hosts that are under attack, prioritize attacks that pose the greatest business risk, and quickly prevent or mitigate loss, register to get the white paper Detecting Covert Communications.